How to choose the right voice for your voiceover project? Voiceover: how to choose the right voice? The future success of your product, service or campaign can depend on the voice you choose. What to do? Choosing the right voice for your commercial, video or other production can be a difficult task. The future success of your product, service or campaign can depend on the voice you choose. Picking a voice just because you like it is not enough. What to do? Here is a small guide that could be helpful. Whether you are looking for a voice for commercials, TV, radio or video, define the purpose of the message accurately. A company’s sales and even its reputation can benefit from an accurately chosen professional voice talent. And recent studies show that even the accent of the voiceover artist can increase sales. Some countries prefer British; others prefer an American English accent. From auto-attendants, phone greetings and voicemail recordings to interactive voice responses for large companies, when the issue concerns the necessity of telephone messaging, it’s better to turn to specialists that provide professional IVR recording. Among the examples are telephone banking, televoting on TV shows, mobile purchases, credit/debit card payments, ticket booking. Maybe you are looking for an ideal voice that will attract the attention of your audience. Or do you need a recognizable voice for your next video commercial? On the other hand, voiceover narration also plays an important role in web and mobile applications. Whatever you are looking for – a professional voice for PowerPoint presentation or for audio books – know that the future depends on your choice. When the purpose has been defined, decide the target audience. Then, bearing this in mind, make sure that you know which voice will tell your story best. Accent Network has a rich library of voices. You can choose from men, women or child voice talents. According to research carried out by American linguists, the gender of the voice influences comprehension. Masculine words are easier to comprehend when they are spoken by a male voice talent, and vice versa. Depending on the purpose and target market, choosing the right voice will bring you a positive effect. For example, in radio advertising, male voices are more popular than females because it is believed that male voices sound more convincing. But in commercial voiceovers about cosmetics or other feminine products, women’s voices remain more attractive. Some marketing specialists say that the voice acts like a psychologist or stylist. Having decided the purpose and your target market, you may follow the next step – to find the proper voice. Check out our professional voiceover talents; more than 500 international voices are waiting for you! 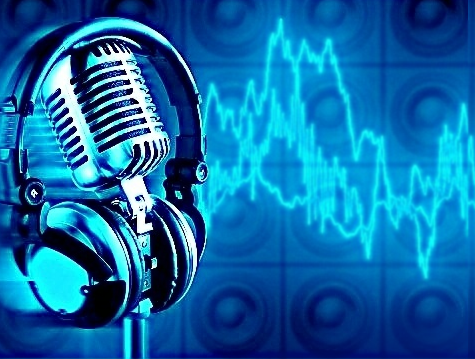 Dubbing vs lip-syncing: is lip-syncing much more expensive than dubbing? Chinese Language Dialects: What Is the Difference Between Mandarin and Cantonese? Copyright © 2016 Accent Network, LLC.